Breath-taking booms and obliterating busts have made the oil and gas business. Booms draw money, which begets more money, which allows for technologies to be invented or perfected, and it builds enthusiasm that turns into blind faith among investors, and they throw more money at it. The money gets drilled into the ground. The debt remains on the balance sheet. 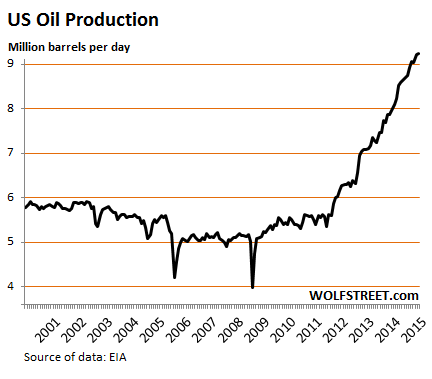 Production soars. Demand doesn’t keep up. Storage levels rise. The price begins to plunge. And all heck breaks loose. The result should be lower oil production. But it’s not. That mountain of debt the oil and gas industry has piled up during the fracking boom needs to be serviced even though revenues are crashing as a function of the price of oil. So they cut operating costs and capital expenditures. And they’re concentrating their remaining resources on the most productive plays and the most efficient technologies to maintain some sort of survivable cash flow. But take the rig-count split between oil and natural gas with a grain of salt. Whether a rig is drilling for oil or gas is a distinction made by the driller. Most fracked wells produce a variety of hydrocarbons, depending on the shale formation. A well might produce a mix of oil, natural gasoline, natural gas, and natural gas liquids like propane or butane. In theory, the driller would classify the rig based on the dominant hydrocarbon. But in 2011-2012, the price of natural gas was plunging, while the price of oil had soared. So drillers began classifying rigs as “oil rigs” that they’d previously classified as “gas rigs” because it looked a heck of a lot better in their investor presentations. 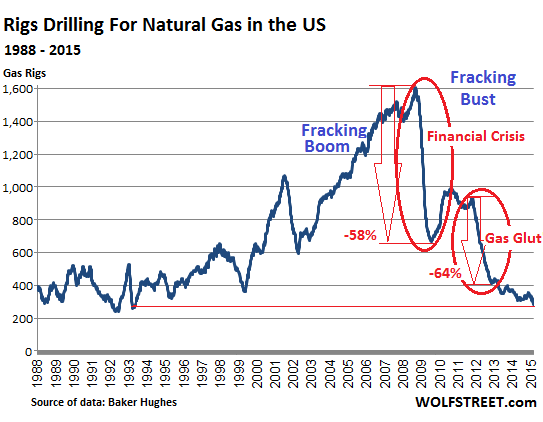 Fracking for oil was making money at those prices; but fracking for gas, at the prices prevailing at the time and still prevailing today, was an exercise in self-bleeding regardless of how drillers tried to twist it. If investors had known reality, or had wanted to know reality, they might not have forked over that money that has now been drilled into the ground. 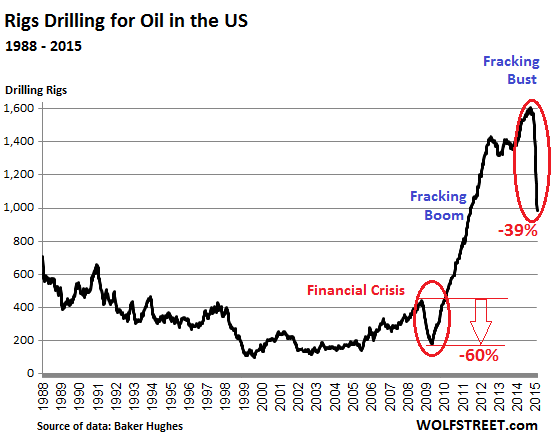 But drillers on the dreadful fracking treadmill constantly need new money to drill more to make up for the sharp decline rates of the wells they’d just drilled. Hence their efforts at the time to beautify their wells by calling them “oil wells” even if they were getting more gas than oil. 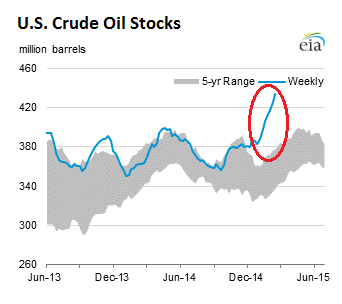 Almost nothing in the world of fracking is quite what it appears to be at first blush. Dropping gasoline prices have perked up American consumers. After years of post-financial-crisis struggles, they finally see some light at the end of the tunnel. But suddenly, it all starts to crumble again. Read… What the Heck Has Suddenly Hit American Consumers?